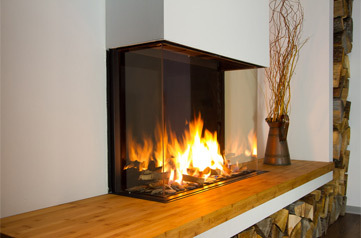 Akos fireplaces have been designed by the best engineers in the field. Akos fireplace have been patented as a high-efficiency gas fireplace by the inventor, Albert Sason, who has an experience of 25 years of designing, building, and creating fireplaces. To Your commercial disposal is Piotr Koper, who has 25 years of experience in the fireplace industry in Poland and on the global market. The current and continuous production of the wide range of models offered by Akos will satisfy the most demanding customers. Akos fireplaces were designed with a possibility of being a wall-hanging insert fire or for installation on legs. Both options are possible for installation. Each Akos fireplace has a high-end remote control unit with option to supply with wi-fi application.